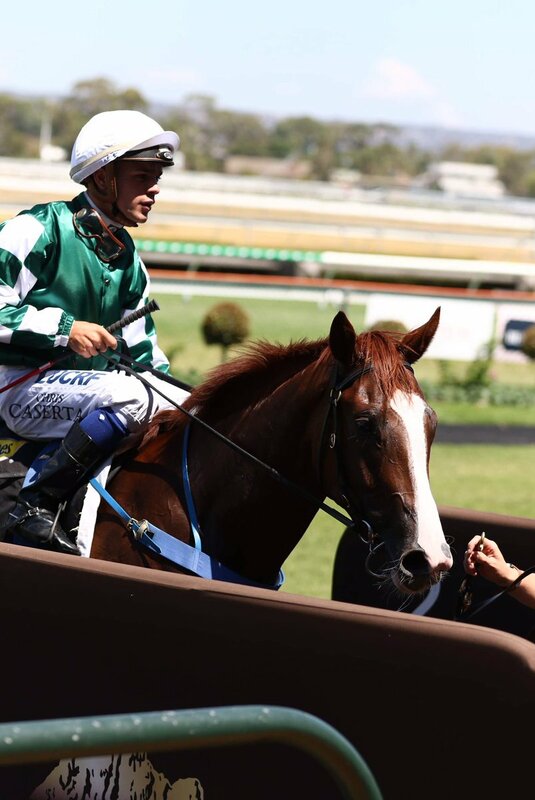 Rowsthorn made an impressive winning debut at Morphettville Parks on Wednesday, February 6 for trainer Tony McEvoy. Owned by Yu Long Investments, Rowsthorn ($1.70 fav) raced away in the home straight to win the hit107 Plate (1000m) by 2-1/2 lengths from Magic Dee ($18) with Embroiled ($10) a similar margin away third. Jockey Chris Caserta had the two-year-old filly one-out, one-back early before coming wide around the home turn, letting her balance up, then sprint away from her rivals. Assistant trainer Calvin McEvoy was very pleased with the filly. “She is still a little bit awkward with her head, but Chris did the right thing and didn’t try to handle her too much,” McEvoy said. “Coming to the turn he obviously knew he had a lot of horse under him. McEvoy said he believed Rowsthorn would have learned a few things in the win having other horses around her. He also said it was a great to train a winner for owners Yu Long Investments which were strong supporters of the stable. Winning jockey Chris Caserta said Rowsthorn was a nice filly. “I balanced her around the turn and when I asked her to go, she let down like a nice horse.